Gangtok gained prominence as a Buddhist pilgrimage site in the early 1980s. Today, it is one of the most visited cities in Northeast India owing to its breathtaking natural beauty and religious significance. If you are planning a holiday in Gangtok, you must have at least 10 days to explore the top places in and around the city. The growing popularity of the destination has also given rise to a number of hotels in Gangtok. You can choose from a variety of options, depending on your budget and itinerary. Remember that most of the restaurants in Gangtok are on MG Road. If you stay anywhere else, you’ll be dependent on the hotel’s restaurant. So choose wisely! If you have enough time to visit just one place in Gangtok, Tsomgo Lake it is! Located at 12,400 ft. above sea level, this high altitude lake sits amidst mountains and derives its water from their melting snow. The unparalleled beauty of the site is absolutely mesmerizing. A striking feature of the lake is that it changes color with every season. It remains frozen during winters, but the snow around is replaced by blooming flowers in summers. Legends reveal that Buddhist monks used to study the lake’s color to forecast the future in olden times. 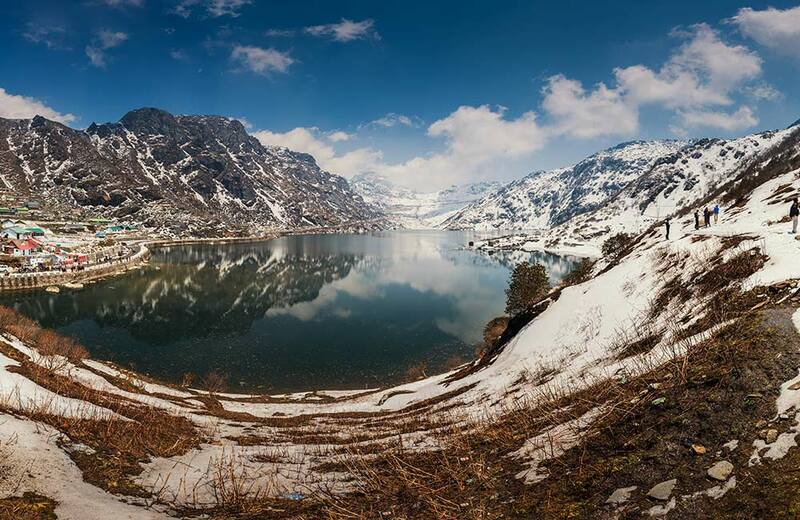 Trivia: The Tsomgo or Changu Lake is considered sacred by the Sikkimese. Travel Tip: A valid permit is required by both Indians and foreign tourists to visit the lake. 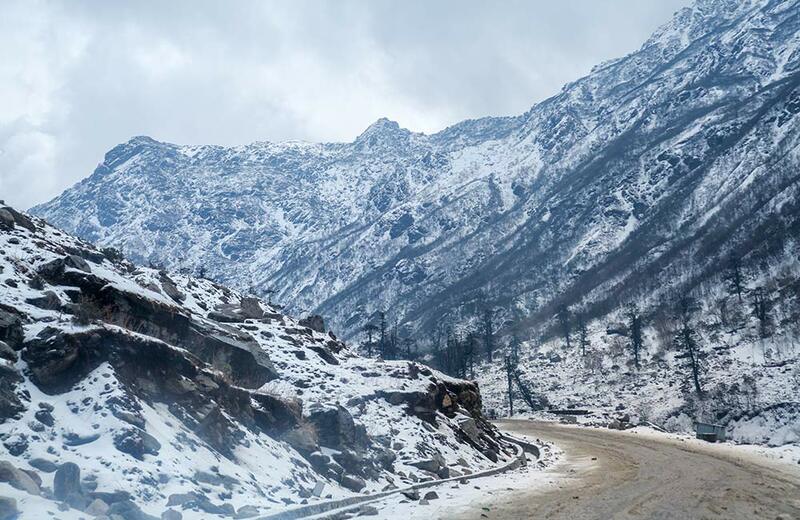 A part of the ancient Silk Route between India and Tibet, Nathula Pass is bestowed with natural beauty and stunning scenic views. Driving through its steep, slippery slopes, up to an altitude of 14,140 ft., will make for quite an adventure. Nathula Pass sees a large number of tourists during summer and autumn. Winters might not be the best time to visit as the temperatures are quite low, and the route is often closed due to heavy snowfall. The road remains closed for public on Mondays and Tuesdays, so make sure you plan your itinerary accordingly. Located at an altitude of 7,200 ft., this decades-old Hanuman temple is one of the most popular places to visit in Gangtok. Offering uninterrupted views of the Kanchenjunga range, this shrine is visited by tourists throughout the year for its serene ambience and stunning views. You can soak in the beauty of the lush greenery, the scenic hills and valleys and a small part of the town while climbing the paved stairs that lead to this blissfully calm divine site. 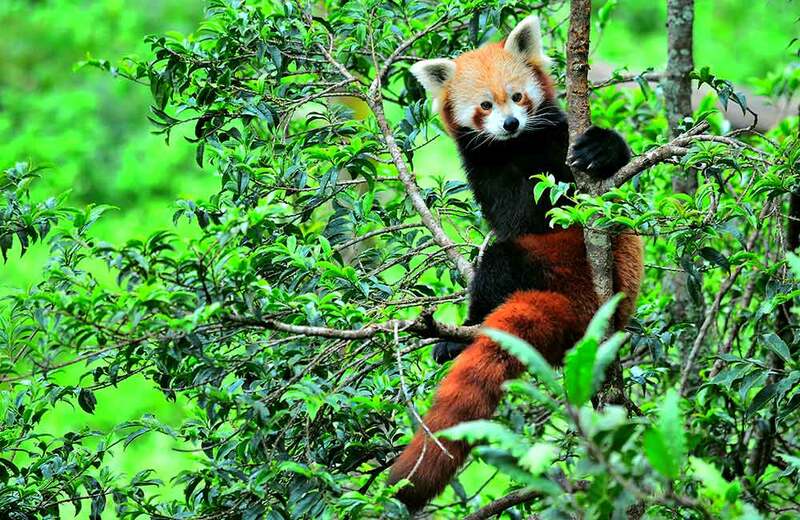 The first zoo in Sikkim, Himalayan Zoological Park offers an opportunity to explore the fauna in the region. Home to Snow Leopards, Himalayan Palm Civets, Red Pandas and Himalayan Black Bears, the place is unlike most of the zoos in the country. Animals are kept in open enclosures in replicated natural habitat and are not caged, which makes the overall experience a bit more pleasant. Situated at an altitude of 1,780 meters, the zoo also offers splendid views of Mount Kanchenjunga. Set aside at least 3 to 4 hours for the zoo, especially if travelling with children. 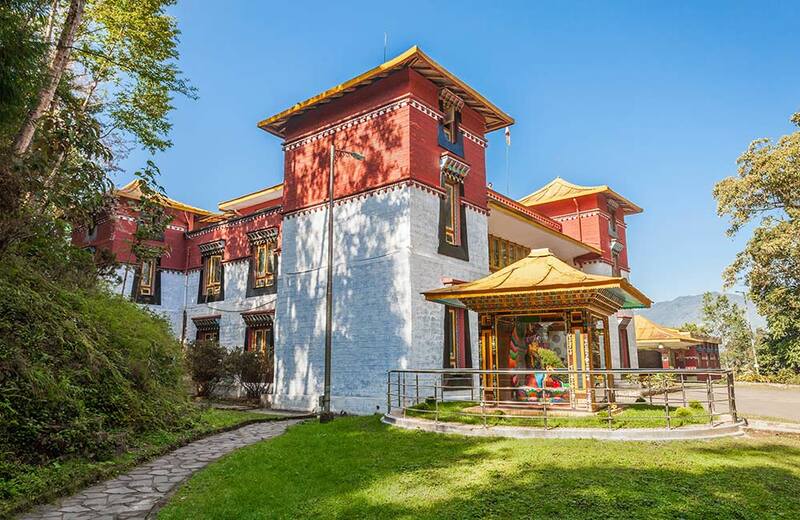 The beautiful Ranka Monastery should be part of your itinerary for the stunning views it offers and of course, the opportunity to interact with Buddhist monks. You can click pictures with the monks during breaks, but you have to respect their faith and their way of life while interacting with them. Enveloped by thick forests on all sides, the monastery is a sight to behold. The quiet and the serenity here offer a glimpse of life completely different from the cities. Travel Tip: Keep aside a couple of hours for Banjhakri Falls when you visit the monastery. Try paragliding here for an unforgettable experience! A peek into the past of a very intriguing culture, the Namgyal Institute of Tibetology is a must-visit if you are a history enthusiast or interested to know more about Buddhism. Exhibiting an extensive collection of art work, objects, manuscripts, mementos and one of the world’s largest collections of Tibetan documents and literature, this institute is a keeper of all things significant to the Tibetan culture. The foundation stone of the institute was laid by the 14th Dalai Lama. 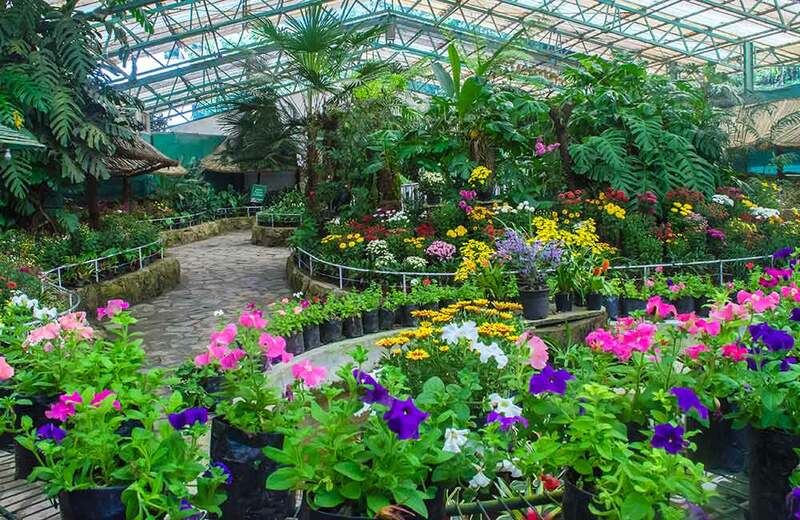 The Flower Exhibition Center is located within walking distance from MG Road and displays a huge variety of flowers from across Sikkim. A heaven for nature lovers, the exhibition center remains in full swing throughout the year, especially during the annual flower show which is held from April to May. Home to many different and unusual species of plants, the exhibition center offers a refreshing break from the never-ending road travel schedules. You can simply relax in its pleasant ambience, admire the colorful flowers, and click some amazing pictures. 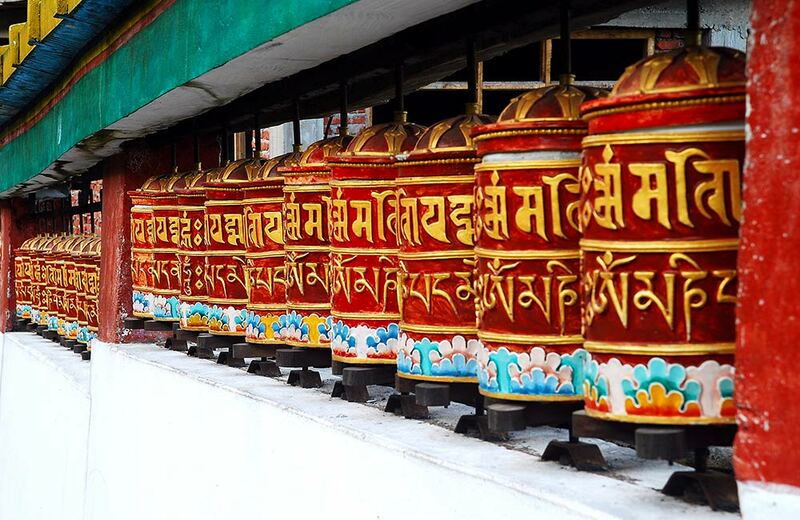 MG Marg is the center of all activity in Gangtok, and it’s on your itinerary by default! 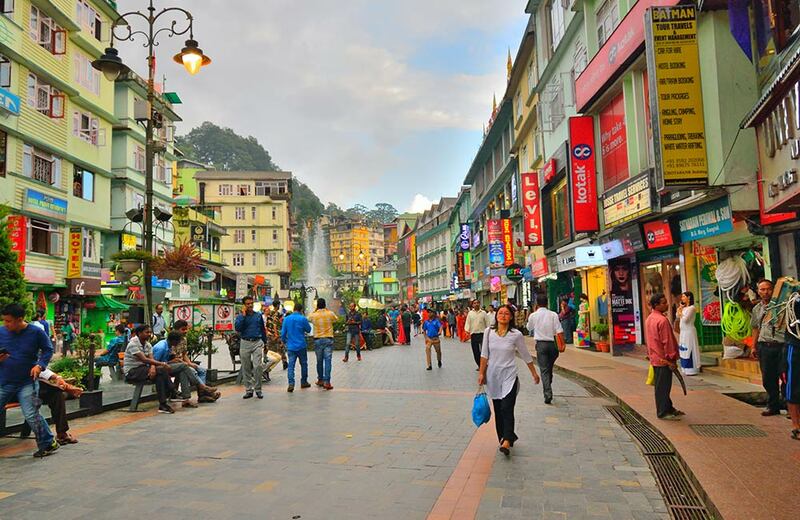 However, if you have an extra day or a couple of hours to spare, do spend time in this vehicle-free zone to learn and explore the way of life in Gangtok. This buzzing market is home to a number of shops, some of which have been there since decades along with many restaurants, cafes and souvenir stores. Do try the Hungry Heads for yum cold coffee and sandwiches. 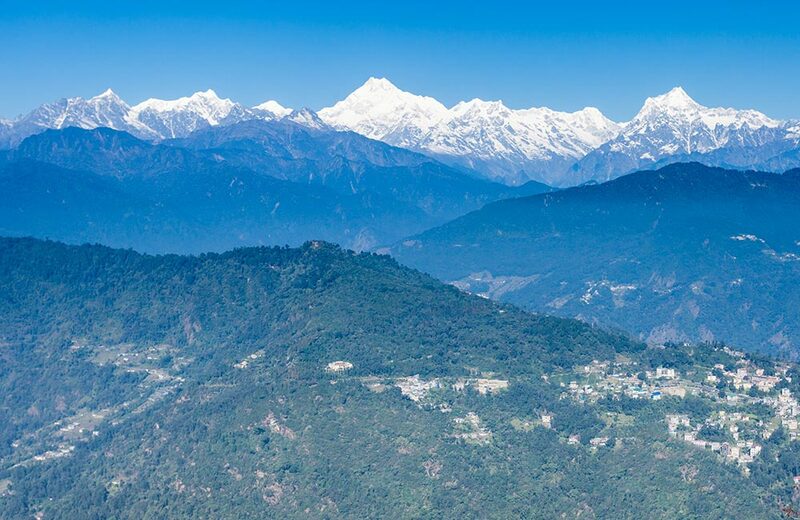 Stunning views of the Kanchenjunga range, serene ambience and the blessings of Lord Ganesha – this pretty much defines Ganesh Tok. 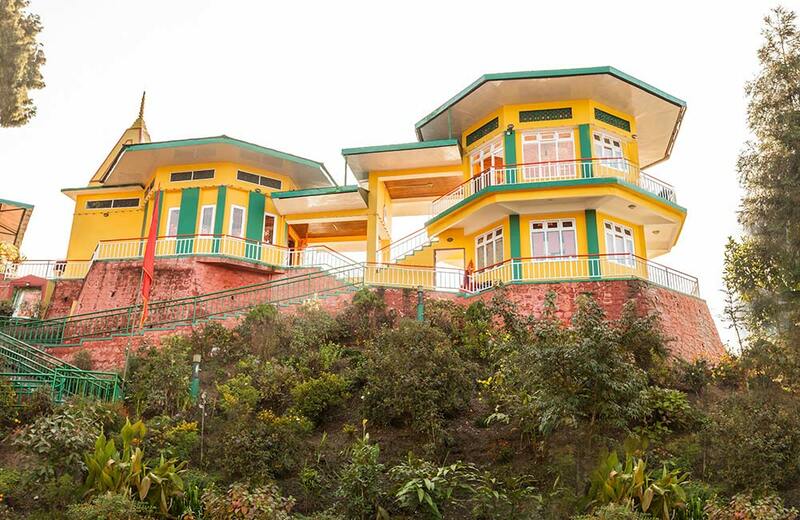 One of the most visited places in Gangtok, this shrine is actually quite small but people come here to soak in the beautiful vistas of the town, the rolling hills and the snow-capped mountains from its enclosed viewing lounge. Situated at an altitude of 6,500 ft., this Ganesh temple sees a huge flow of visitors throughout the year. The Rumtek Monastery, perched on a hilltop near Gangtok, is one of the largest monasteries in the state of Sikkim. Once known as the Dharma Chakra Centre, this glorious monastery is built in traditional Tibetan style. 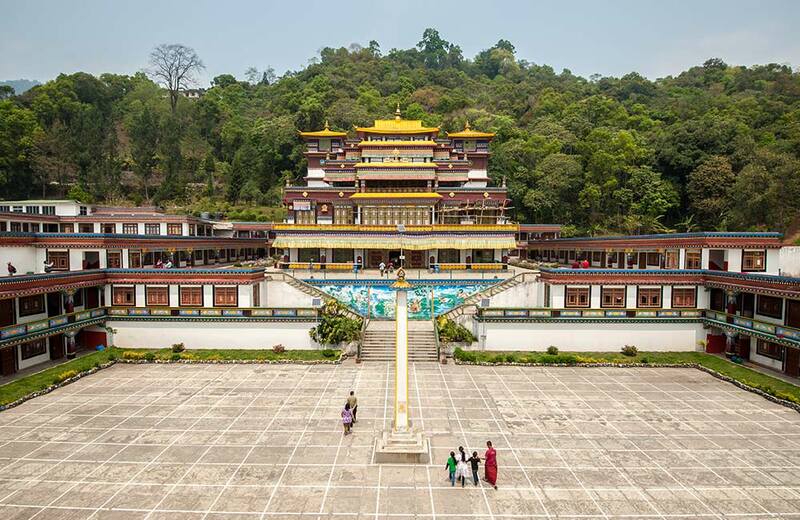 The three-storied building encompasses a splendid prayer hall with tangkhas, statues and stunning murals, the golden stupa of the 16th Karmapa and many other unique objects and religious scriptures. Belonging to the Kargyu sect of Buddhists, this ancient monastery is known for one of world’s finest architectures and it stands beautifully against the backdrop of majestic hills and waterfalls. Travel Tip: Remember to carry your identity cards as the monastery comes under the Indo-Tibetan Border Police. I write to express, to vent, to believe, to change. A traveller and dreamer - my words take me everywhere.